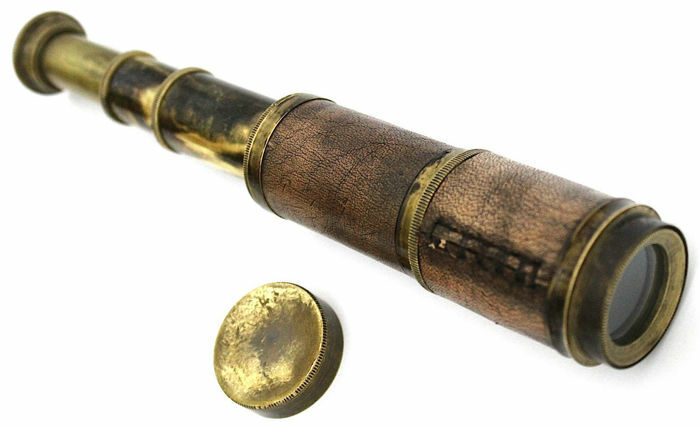 This Telescope features solid brass bounded with leather and comes with a hardwood display/carry box. 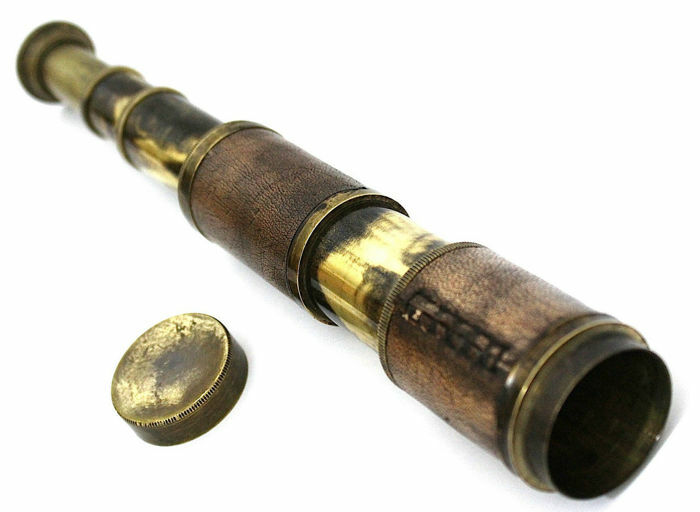 This Traditional Brass & Leather Telescope is ideal to grace the balcony, library, conservatory or drawing room of a fine house. 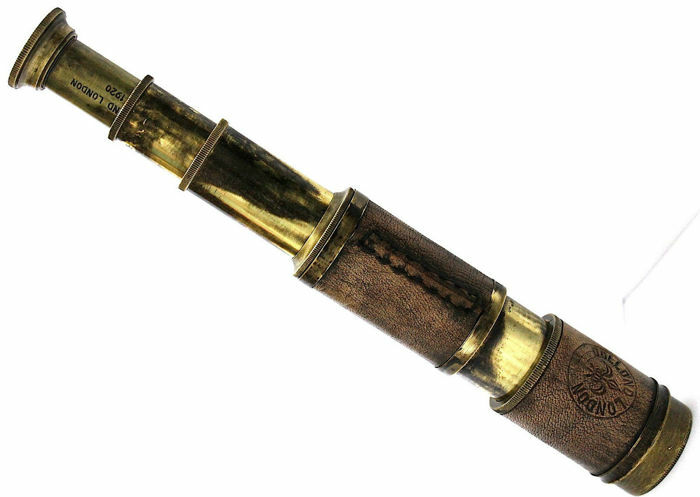 The Telescope feature high quality fully coated optics making them highly functional, Can be used for terrestrial viewing as well as for basic observations. 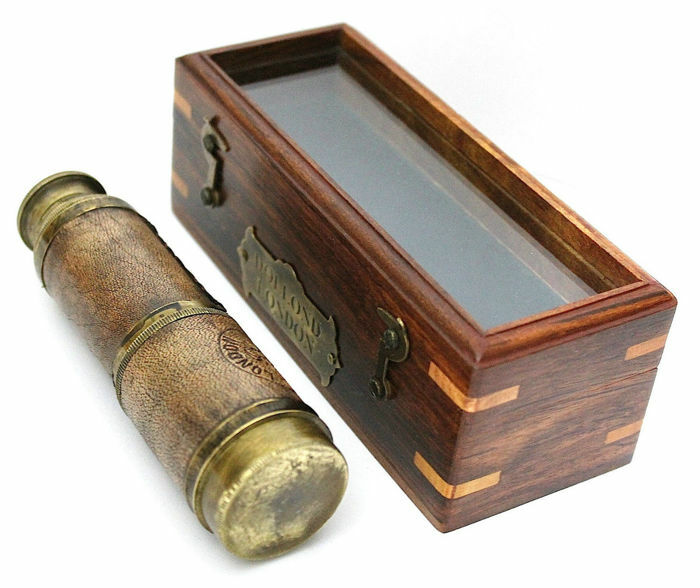 The Telescope comes with a Highly finished Rosewood wooden Box. 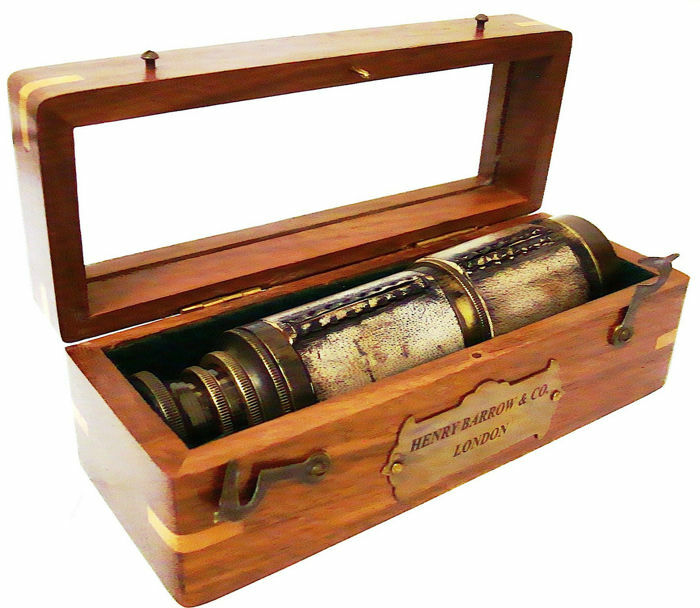 The Telescope will be well packaged for delivery.